Recently, I’ve found myself saying “no” more frequently. Admittedly, when we go through difficult seasons, we definitely draw more inward and limit our interactions and involvement. That’s a normal response when we need more mental and emotional energy to process the harder parts of life. Even so, I’m becoming more comfortable with “no” and finding it to be another way to love people. For one, it’s being honest about ourselves instead of making false promises. Good intentions are a beautiful thing, but when we regularly can’t carry them through, we become people who disappoint. In child-raising or managing employees, “no” can be a friendly word that clearly delineates where the guardrails and boundaries are before they are accidentally (or intentionally) crossed. Children tend to feel secure when they know expectations; this is also true in the workplace. So why are relationships so difficult? Why do we struggle at times to place down a healthy “no” in our closer relationships? We sound too stern and controlling? We fear being alone if we’re not received? I imagine we struggle with that word for all those reasons and more. Good intentions are a beautiful thing, but when we regularly can’t carry them through, we become people who disappoint. My “no”s have been all over the map lately. An obvious “no” was when a phone call came in needing my urgent help while we were burying my father. Um, no. Some situations are too sacred to break away to help someone. We need to take care of our own business at times. I was not going to let anything invade that precious space. It was simply not in my bandwidth during that time. At another time, I believed that God told me to walk into a very toxic situation and shut my mouth (lick a shut-up-sicle). He wanted me (and my children) to only speak His Word, not our own. I am not at all talented in this area of self-control. My mouth longs to express itself creatively and clearly, but this time, I was to be quiet. Through God’s “no” to me, I also was able to calmly exert my own “no” to invasive questions and hurtful comments. Silence is often a beautiful form of “no,” as long as it isn’t used to hold someone hostage or punish with the silent treatment. On a practical side, I had to say “no” to my usual Monday morning prayer accountability partner. Prayer is definitely a worthy pursuit, but I had returned from a very emotionally wearying trip, and I needed to regroup with God alone. Those moments are not fun, but they protect us from being dragged down into darker places that distract us from our purposes to love in healthy ways. It’s not up to us how the receiver responds. 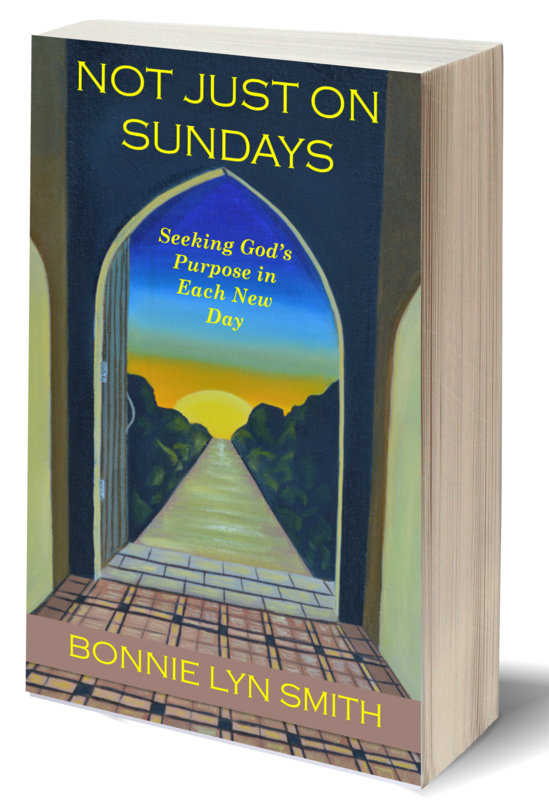 Good for you, Bonnie, but did Jesus do this? Is this biblical? When He says, “yes,” I want to be ready for that as well. When the disciples considered the children a bother and wanted to turn them away, Jesus essentially told them, “no!” and welcomed the little children. He knew how much they needed Him. When Jesus’s dear friends Mary and Martha sent for him to heal their brother as he lay dying, Jesus said “no” with His actions. He waited two more days before going. Why? He was following His Father’s direction to minister to others first, and raising Lazarus from the dead later became part of the greater purpose behind this moment. When backed against the wall by the chief priests and council upon His arrest, Jesus did not let them trap Him with their questions. At first, He remained silent, and when He finally answered, He did not answer directly. Jesus offers a formula for when we are received well and when we’re not. This verse can be easily misused or overapplied. It’s all about context. Basically, He suggests we recognize when we are being received and act accordingly. He is referring specifically to the message of Christ being received. I find the part about peace to be such a great guide in general. “And whatever town or village you enter, find out who is worthy in it and stay there until you depart. As you enter the house, greet it. The opposite of these healthy “no”s would be hyper-boundary-drawing from a place of needing to control. I can be this at times, when life knocks me around, but overall, if we stick to the examples of Jesus, we can stay within good guidelines of how appropriately apply and love with our “no”s. Boundaries are so important. The book, boundaries was actually required reading when I was at bible college and I can really see why they considered it so important. Oh, I love that book, Ally! I hope it’s required reading for not only Bible college but also social work and therapy training. Thank you so much for stopping by! Blessings! What a great stop of encouragement this was today! These are all such sound reasons to say “no”! I know from experience that when we do not take care of ourselves and fear saying “no”, it makes us weary and unproductive for the things to which God truly wants us to say “yes”! I’d love for you to join me in sharing hope each Monday at #MomentsofHope! My prayer is for God’s hope to be overflowing in that space so that other’s may experience the same hope we know in Him! Oh, I’d love to join you there, Lori. I’ll try to pop by and sign up for notifications for the future. Thank you so much for coming by! I really appreciate the reflections you offered here. Boundaries are a good thing and are healthy for all parties. So hard to develop them at times. Blessings!